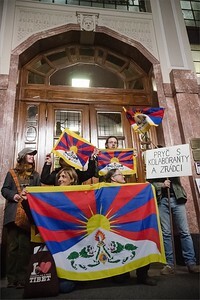 Activists on the Tibetan Uprising anniversary day, hanging flags where officials refused to do so. 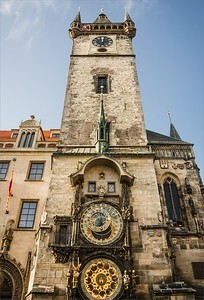 Prague Old Town Hall Tower and Prague City Hall. 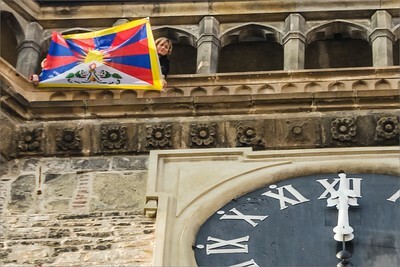 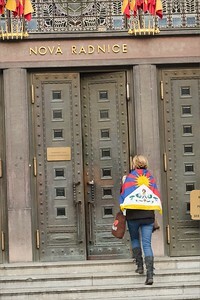 Tibetan flag hang out by activists at the tower of Old Town hall Pargue, Tibetan uprising anniversary, 10 March 21015. 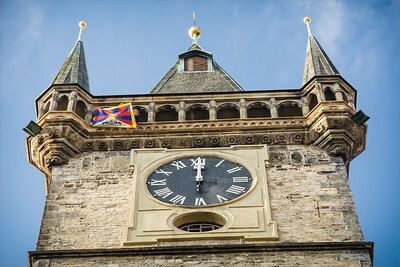 Vlajka pro Tibet na věži Staroměstské radnice 10.3.2015.